“Behold, the sea!” Vaughan Williams’ first symphony catapults the audience into the action with one of the most powerful musical openings ever written. 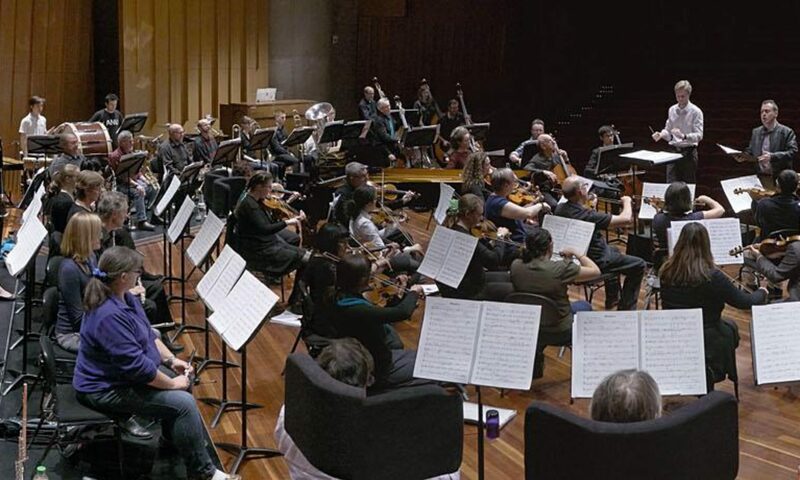 Join the Canberra Choral Society and the National Capital Orchestra for this one-night-only performance of Vaughan Williams’ captivating masterpiece – an epic tale journey spanning every nuance of a seafaring adventure – alongside the Australian premiere of Christopher Gordon’s acclaimed film score to On The Beach. You will delight in hearing the Canberra Choral Society, featuring two of Australia’s fastest-rising musical stars: soprano Chloe Lankshear (The Song Company and Canberra International Music Festival featured soloist) and baritone David Greco (Opera Australia principal artist, ABC Classics Winterreise and Helpmann Award-winning concerts with the Sydney Symphony Orchestra) led by superb chorus master Dan Walker. Combined with the National Capital Orchestra, described by CityNews as “a force to be reckoned with,” under the baton of conductor Leonard Weiss, you are sure to enjoy an unforgettable musical evening.